Whats a cheap charger for a 2200mah lipo battery? it depends on what you would consider as cheap. to me i found it cheap and very practical. Accucel 6. There is both a 50W version and a 80W version. Highly reccomed on all the forums I've been on as a good beginners charger. However you need a power supply to make it all work. I got a 80W to replae my iMax B6 which was playing up and so far had no issues. The DC-4S is my charger of choice. 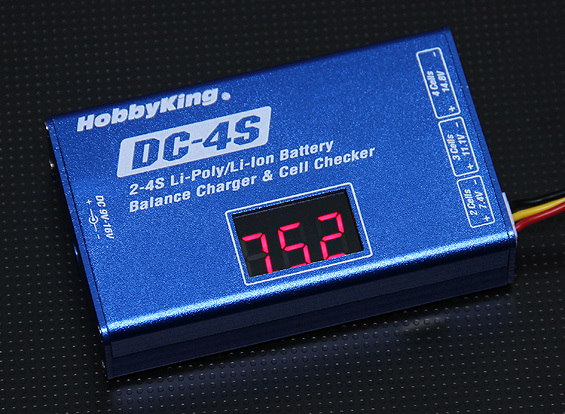 It's $9, will work as a checker and balancer, and can charge between 2-4s. I've aquired 4 of them over the years, and I have a nice charging rig at a fraction of the price for something comparable.